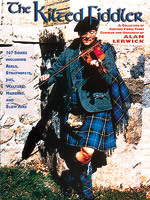 A collection of 167 Scottish-fiddle tunes compiled and arranged by Alan Lerwick, including: Reels and Scotch measures, Strathspeys, Jigs, Hornpipes, Waltzes, Descriptive Tunes, Marches, Slow Airs and Laments, and more. Includes historical notes, playing tips and photos. 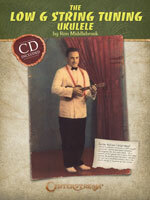 25 popular songs for the ukulele in standard music notation, tablature and easy chords. To get the most out of this book, you�ll want to replace the fourth (high G) string with one of a heavier gauge and tune it an octave lower to get that full, deep sound � a l� Hawaiian uke virtuoso Jesse Kalima � in playing the melodies in this book. The chords can be played with or without the low G sound. 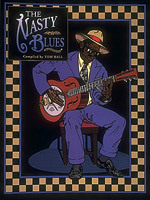 A celebration of crude and lewd songs by the best bluesmen and women in history, including Bo Carter, Bessie Smith, Irene Scruggs, Lil Johnson, Georgia White, Charlie Pickett, Lonnie Johnson, Ethel Waters, Dirty Red, and more. 30 songs in all, including: Sam, The Hot Dog Man, I Need a Little Sugar in My Bowl, Send Me a Man, Empty Bed Blues, One Hour Mama, and more. 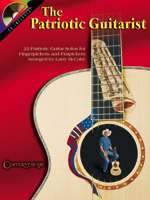 This red, white and cool collection contains 22 all-American guitar solos for fingerpickers and flatpickers. Includes: America the Beautiful, The Battle Hymn of the Republic, The Marines' Hymn, The Star Spangled Banner, Yankee Doodle, and many more patriotic favorites. The accompanying CD includes demo tracks for all the tunes. 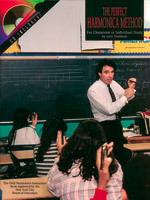 The harmonica opens a wonderful new avenue of musical adventure for classroom learning or individual playing. The Perfect Harmonica Method is the beginner's guide to learning to enjoy music and play the harmonica. This method has been proven over a period of years with thousands of successful students.